If you are looking for a Toyota Avalon near Somersworth, New Hampshire take a look at our inventory of Toyota Avalon cars. Somersworth area residents will find a selection of new Avalon models in stock now. Compare trim levels, vehicle details, MSRP and color options by viewing our online inventory pages. There you will also find our complete used car and Certified Pre-Owned Toyota inventories which frequently include many used and certified Toyota Avalon models to choose from. Affordable Toyota Avalon financing and leasing as well as used car finance options are available at our dealership. 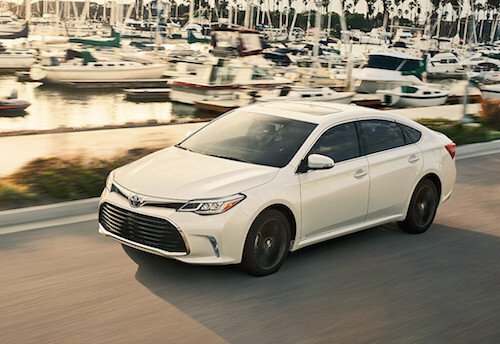 Our Toyota finance experts will help you find new Toyota specials, factory incentives and current lease deals on a Toyota Avalon near Somersworth. We can also help you find used car specials and deals on certified used Toyota Avalon models for sale. Our Toyota dealership is committed to your total satisfaction for new and used auto sales, specials, service and parts. We invite you to stop by and test drive a Toyota Avalon near Somersworth, New Hampshire today!